Bringing our community together for a relaxed weekend coffee morning. Why not join us? We are hosting a Saturday Morning Community Coffee get together at Waterfield House on 9 February from 11am. Please join us for refreshments and entertainment. 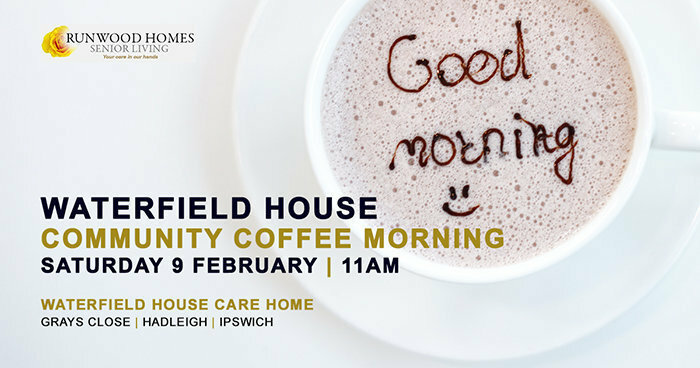 Come along to Waterfield House residential care home in Grays Close, Hadleigh, Ipswich, on the morning of Saturday 9 February to enjoy some light refreshments, plus we’ll be visited by a belly dancer to provide entertainment for our residents and our coffee morning guests. Be part of our community; make new friends, meet the team and spend some time with us and our residents who’d love to socialise with you. Guests are also welcome to take a tour of Waterfield House care home in Hadleigh or ask any questions about our residential services.